WATCH: Doctor turns a breech baby while in the womb! Find out how an external cephalic version (ECV) is done and learn more about breech positioning, below! Mums-to-be, how can you tell if you’re having a breech baby? Throughout your pregnancy, your baby will kick, move around, and even rotate inside your uterus. Once you approach your due date, your baby will most likely assume a position wherein their head prepares to descend first into the birth canal. However, there is a possibility that the baby will turn so that their bottom or feet prepares to exit the womb first. This is known as a breech baby position. Whether or not a mum is having a breech baby is usually determined through a physical examination or an ultrasound at about 35 or 36 weeks of pregnancy. Why do babies assume the breech position? The mum-to-be has had multiple pregnancies. She has a history of premature births. The baby is making room for a twin! Breech positioning could a response to low amniotic fluid levels (giving more room to move around). The uterus has an irregular shape, or the mum has conditions such as fibroids. The mum-to-be has placenta previa. Since breech babies can be tricky to deliver, most doctors prefer to schedule a Caesarean delivery in such cases. A previous study backs the belief that this is the safest route to avoid complications. They are at higher risk for umbilical cord complications (nerve or brain damage). They are more prone to birth injuries, usually affecting the thighs or hips. Yes, as a matter of fact, there are several ways to turn a breech baby. Take the case of one mum, Vanessa Fisher, who underwent an external cephalic version (ECV) because she wanted to avoid a C-section as much as possible. In a video that’s been going viral with over four million views on Facebook, Vanessa’s doctor successfully performs an ECV in just over two minutes. This procedure is typically done at 37 weeks. It involves using the hands to apply pressure outside the abdomen while gently but firmly turning the baby. This is done until the baby assumes a head down position in the uterus. 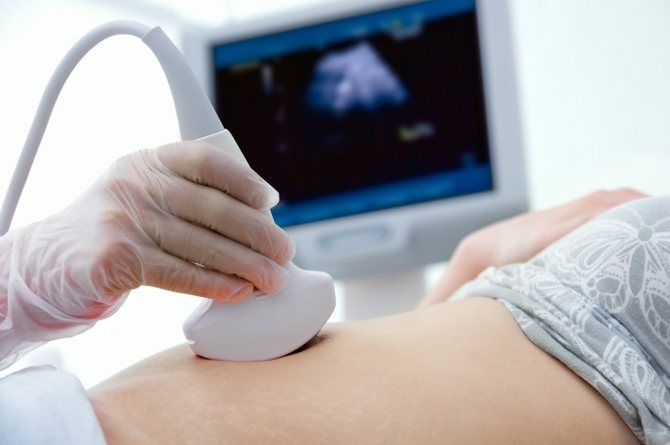 Before the procedure, an ultrasound is done to truly confirm breech positioning. Some expecting mums could be given medications to relax the uterus, and to avoid pain during the procedure. Though Vanessa’s doctor managed to turn her breech baby, this procedure has been known to work only 50% of the time, according to the ACOG (American College of Obstetricians and Gynaecologists). ECV also poses certain risks, like: premature rupture of membranes or PROM, placental abruption, or even preterm labor. It could also affect your unborn baby’s foetal heart rate. One way to turn a breech baby without manually moving it around is by simply assuming positions for pelvic muscle relaxation that promote turning. An example of this is kneeling and then leaning forward for about 10 to 15 minutes a day. By doing this, you’re harnessing gravity to help turn your baby. Rocking back and forth, pelvic rotations or belly dancing could also be ways to turn a breech baby. Be sure to ask for assistance before attempting a forward-leaning inversion. One option to consult your doctor about is moxibustion, which is a type of acupuncture. But instead of needles, this procedure uses gentle heat to apply pressure to encourage foetal movement. This is usually done at 32 weeks, but it’s important to note that more research is needed to confirm its benefits. A previous study also found side effects related to this technique, so be sure to ask your doctor if this is a safe option. Another procedure that can be considered at 32 weeks is the Pelvic tilt, which makes use of upward thrusts to get a baby to turn. Once a mum can feel her baby moving in the womb, she can lie down and lift her hips. It’s important to sit on cushions and to keep the feet firmly planted on the ground for proper support. Not only can this turn a breech baby, it is a good exercise for pregnant mums to improve the strength and mobility of their lower body. It can also relieve lower back pain and discomfort. During the third trimester of pregnancy, swimming can be a relaxing exercise that soothes muscles and joints. But it also helps the uterus relax, too. This may not instantly turn a breech baby, but it can help. Of course, consult your doctor regarding the safest exercises to try during pregnancy. One option to try is listening to music and playing it in specific areas of your belly. Babies have been known to turn towards the sound. So by playing music at the base or bottom of your belly, you could actually “lure” your breech baby to turn in such a way so that they finally assume a head down position before birth. We hope you found this information useful. Be sure to consult your doctor first before trying any of the aforementioned techniques. READ THIS ALSO: What should I know if my baby is in a breech position?